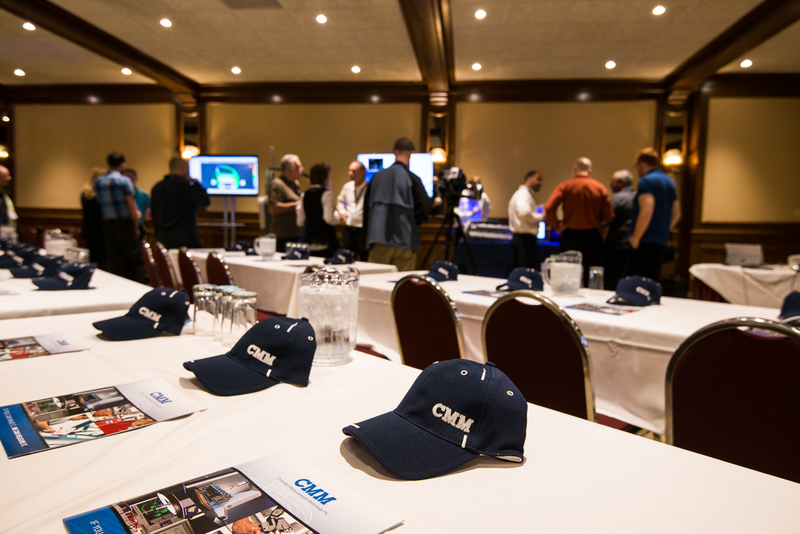 Windsor Knowledge Tour Review - CMM Inc.
Our first ever Windsor Knowledge Tour wrapped up last week leaving all who attended wanting more!! 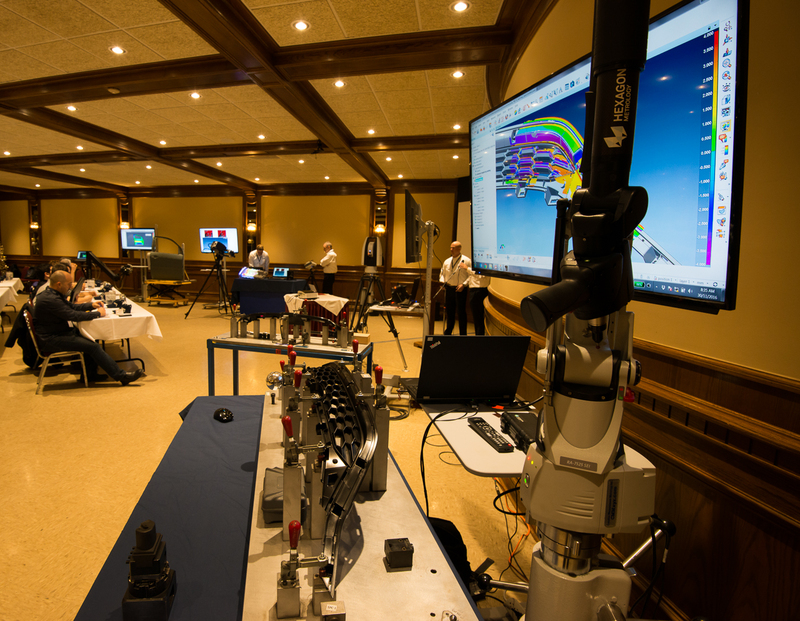 Last Wednesday, November 30th we took our very best metrology equipment and technical experts on the road and set up in the heart of Ontario’s automotive industry. We were thrilled to meet face to face with our Windsor clients to answer questions, provide interactive demonstrations and offer one on one consultations with our PolyWorks and PC-DMIS Professors. At final count, we hosted a total of 65 local Quality professionals representing 31 companies from Windsor and the surrounding area. Highlights of the day included guest presenters from Hexagon Manufacturing Intelligence, our Metrology partners, demonstrating some of the most advanced 3D digitization equipment on the market: The Aicon Prime Scan, the WLS qFlash and the Leica Tracker with automated scanning, to name a few. Our very own Brad Vandenberk and Allan McNeill performed a live demonstration of the newly redesigned Romer Absolute 7 Axis Portable Measuring Arm. The presentation highlighted the speed and versatility of this popular piece of equipment as they quickly aligned to a fixture, switched to scanning mode and produced a highly detailed colour map overlaid on a CAD model. The afternoon session was left open to allow our guests to browse the “Technology Zone,” speak with our experts and try out some of the latest equipment on real fixtures and sample parts. Throughout the day we had our very popular “Professors” booking appointments and sitting down with local programmers to troubleshoot and offer advice on various programming problems in both PC-DMIS and PolyWorks. This was the second time we used the Professors at a show and it continues to gain popularity amongst those who attend. Thank you Windsor for helping to make our Knowledge Tour such a huge success! We look forward to returning for many more similar events in the future!